Easily accessible tools, diagrams and the choreographic heritage and history of the twin sports of roller and ice skating. The goal of this site is to preserve documents, and offer tools to instructors and students in the skating community. This information is offered for general interest, and official documents should be consulted for the current, definitive last word. This is a compilation of thousands of hours of effort by the best people in roller and ice, and we owe to them, what we have today. Thank you. Author's note: When I began this site, I agonized over which version of a dance was the 'right' one to include. Since, I have come to realize that that is not my prerogative. I am a chronicler of what was and is, documenting history, not making it, and incorporated all versions available to me. In general, most recent versions is shown first. National Museum of Roller Skating , Lincoln Nebraska. "At the museum, we collect, preserve, and display the history of roller skating. By sponsoring and promoting education and informative exhibits, we hope to bring together everyone associated with roller skating, whether it be through sports, business, or recreation." synchronized skating. They have a testing program as well as competitions. Many additions, all of the turn dances up to #11 (2019) silver test to current versions. Added content to history page. Minor clarifications, grammar/spelling changes. Updated Baby Blues page. Pasted links - hopefully fixed so FaceBook and others will display desired image along with site info. I've come into possesion of the 1970 Edition IX of the USFARS / RSROA test booklets (2). The covers and test schedule is now up under 'listed by associations', 'pre 1971-72'. Changed primary spelling of 'Killian' to 'Kilian' with one 'L' throughout the website, at the very good suggestion of Tim Laskey. And also at his suggestion, made note of alternative spelling of the "Balanciago"
Added Colonel Bogey March, music and score, under March tempo link page. Re-did Paso Doble music to just Espana Cani audio clip and two staves of music notation. All of the 1938 first edition of the first dance publication by the RSROA dance notes now added. Thank you Lorna Day for the scan of the document. Added the links page and the "First Class" (bronze) tests of the 1938 first edition of the first dance publication by the RSROA. Thank you Lorna Day for the scan of the document. Added 1989 USA/RS version of Collegiate, and began adding cross references between similar all forward dances and their counterpart turn dances, such as the Marylee Foxtrot and the Collegiate. Added link page for USAC/RS 12th edition, 1989 Part I and II. Thank you Audra Fortune for loaning me the originals to copy. Beginning to add dance versions from this editions, in testing order. Added images and links to the 2001 USARS Premier Dance Division booklet. Thank you Audra Fortune for loaning me the original to scan. Special thanks to Bill Moore for permission to share his hand drawn diagrams of the Iceland Tango and Viennese Waltz, showing how these border dances progress around the rink. And thank you Audra Fortune for letting me use her copies of Bill's diagrams to make them available here. See them under their respective dance headings. Added Arenetta Waltz. This and many others will be added thanks to the diagrams contributed by Richard Hand. A kind reader informed me of a more original source for the Olympic Foxtrot diagram and NOTES! Wahoo! the Cha Cha Chiquita has been added, thanks to another private archive. Here is a link to the USARS page with official restructuring documents concerning Adult Dance and Figure competition. American March, Clayton Foxtrot, Gator Shuffle Polka and Zig Zag Polka have been added, thanks to a friends private archive. Cha Cha Chiquita still missing. American March, Cha Cha Chiquita, Gator Shuffle Polka, Clayton Foxtrot and Zig Zag Polka. ​ Any help with these much appreciated! added Charity Blues and the link in "by Blues..." list, added Terenzie Waltz link to "by Waltz..." list, added Manzanita (tango) diagram, added earlier diagrams and notes of Lu Jane Tango. Due to Weebly's - my web provider - policy change with respect to the Scribd app, I've changed the way the 'Teachers' listing look. Thank you for understanding. 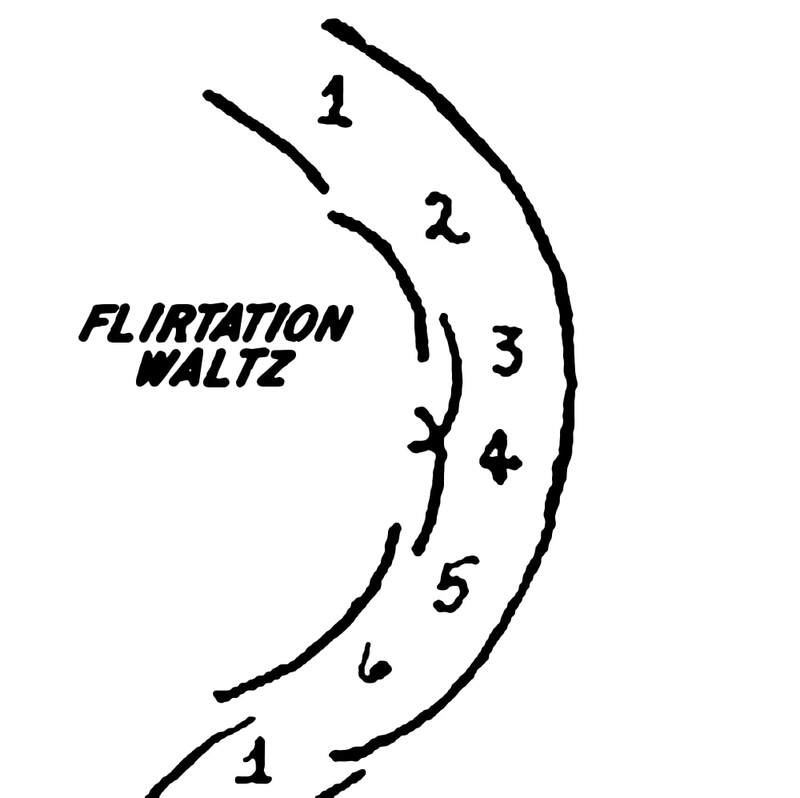 Added all the waltzes in Perry B Rawson's 1942 "Skate Dance Diagrams": Davis Goodrich, Drop 3 Continental, Eight Waltz, Mohawk Waltz, "Q" Waltz, Roquina, Spread Eagle style "A" and "B", 3 Lobed 8 Waltz, Waltz Tango. Fun to see these 'old' dances. I've reformatted the lists "by music Alphabetic" to a consistent look. Also, most of the dance headings now contain some historic content to give the dances perspective and a short description of the music. My apologies to those who had bookmarkd this site. I renamed it in hopes of better search engine hits, but apparently that was not working as well as planned, so I returned to its original name. On content topics, The 'Waltz' list is up and the origin/music for it are written. More Waltz dances will be added as time allows. added USARS March 2006 addenda list and links under 'by associations tests'. Added Association Waltz. Added pages for "The Oaks" Dance Night dances which weren't already published - some of these still do not have complete dance notes or diagrams. Added more explanation to 'Other Stuff' 'Diagrams and Terms', including an original illustration. Whew! 'T' dances link page and place holder pages for all the listed dances created, although most pages at this time have no dance notes or diagrams. Tango origins and music descriptions added. Added USARSA 1953 120 Waltz and Werner Tango notes & diagrams. Reorganized pages in 'Other Stuff' i.e. music, added skate equipment. Various housekeeping such as establishing links on the page you get when clicking on main and some sub headings. 'Links to Diagrams' improved. "C" and "F" Music Dances indexes and dance images up and working. Added "Dance Positions" to "Other Stuff"